What Are the Best Prepaid / Value Plans? The truth is that prepaid wireless service may be the way to go with great savings on your monthly cellphone bill. With most pre-paid plans, you pay ahead of time instead of at the end of each billing cycle. Prepaid plans (pay as you go phones or no-contract phones) gets you wireless service without a credit check, and you’re not tied to any long term contract. The best thing about prepaid wireless plan is that taxes and fees are included, so the price you see is the price you pay! Lower costs. More flexibility. No credit check. No contract. Tello’s 300 Mins Build Your Own Plan is on of the best prepaid plan with 10GB of data. Verizon had the best network overall and also won for reliability, speed, data connections, and calling. So you pay little bit Extra for the no contract phone plan and require no credit check, no contract and no activation fee. Monthly discounts for corporate, government and education employees, as well as valued service members and veterans. Verizon offers a family discount for most prepaid plans, Each additional line, up to 5 lines total, receives a discount of $10, $15 or $20 per month, depending on the plan. Each line gets its own data allotment, so there is no shared data. Verizon prepaid customers pay an additional 20 cents per minute for calls placed or received in roaming areas. AT&T’s wireless network is the second best after Verizon. AT&T also owns the popular MVNO named Cricket Wireless. AT&T’s network also powers many other smaller carriers (called MVNOs) which run on AT&T’s network with cheaper prices than AT&T itself. 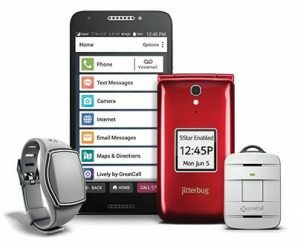 Discover and compare the best cell phone plans for senior citizens. Keep in touch with the best cell phone plans for seniors. T-Mobile offers an assortment of prepaid plans including the best unlimited plans, family plan, Tourist Cell Phone Plan and pay as you go prepaid plans. T-Mobile ONE Prepaid has unlimited 3G hotspot allowance, unlimited calling to and from Mexico & Canada, unlimited data in over 140 countries, and data-free music streaming of Spotify, Pandora and more. Plus, T-Mobile has the highest data de-prioritization threshold in the cell phone industry. Sprint Forward Plans includes unlimited talk and text and unlimited data, with instant device discounts, without the need to run credit and help manage their monthly expenses. Also, not all prepaid cell phones are expensive. If you want the latest models of Apple iPhone or Samsung Phones, you’ll be paying through the nose. But, if you’re happy with other cell phone brands, you could get away with paying under $50 for brand new smartphone. Prepaid wireless plans are the greatest safeguard against overages or surprise wireless bills. Most Prepaid carriers have some kind of unlimited data plans with unlimited talk and txt. ONE Prepaid plan from T-Mobile’s, but the network is little spotty at times. You don’t want data, but you don’t want to be limited to number of minutes of phone call each month, either. Want a family plan without the taxes, fees and multiyear commitment? How to Choose the right Prepaid Cell Phone Plan ? 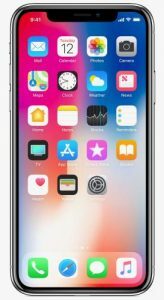 if you’re looking for the best plans from all of the wireless providers, check out our list of the best cell phone plans, updated each and every month. Prepaid plans are great if your credit isn’t great and you don’t want to go through the hassle of getting a credit check. Cricket’s plans (owned by AT&T) are an easy way to jump aboard AT&T’s network and skip the credit check. Cricket operates thousands of stores across united states, so there’s a good chance there’s one near you, if you prefer to buy in person. Prepaid phone plans are almost similar to the traditional plans offered by major carriers such as Sprint, T-Mobile, Verizon and AT&T, minus the contract, credit check and expensive plan. Many prepaid providers are owned by those same big-name carriers, which also offer their own prepaid plans. There are some trade-offs with the latest prepaid service. You prepay full price for a new phone (some carriers started discounting that too), rather than spreading the payments out over year or two. And some prepaid carriers don’t carry the newest, most popular smartphones. But they almost all have the discounted inexpensive phones. Most prepaid providers (GSM & CDMA) will let you bring your own phone to their plans. AT&T, Boost Mobile, Consumer Cellular, Cricket, GreatCall, Google’s Project Fi, MetroPCS, Net10, Republic Wireless, Sprint, Straight Talk, T-Mobile, Tracfone, Verizon Wireless and Virgin Mobile.